Sea Captain Kirk's Alaskan halibut is here! Who is Harold Olaf Cecil, and why is he so busy? BEND, Ore. – May 15, 2009 – The first annual Bend Bicycle Film Festival debuts at the Tower Theatre in downtown Bend on May 29, celebrating the wonders and joys of riding bikes. The festival, a benefit for the Central Oregon Trail Alliance (COTA) and the Bend Cycling Club, will showcase locally-made film shorts and slideshows followed by a big screen presentation of Freeride Entertainment's New World Disorder 9: Never Enough. "The format for the locally-made portion of the show will run the gamut of cycling genres," says Paul Lissette, festival organizer. Submissions included cross-country, road, snow, spoof, one-wheel, freeride, urban shredding, desert riding, strange attire, BMX, and Cyclocross footage. "Several locally well-known film makers and riders will exhibit their skill and creativity at the show," says Lissette. Jonas Tarlen – popular for his humorous backcountry ski films – makes a foray into the backcountry on his mountain bike. Steve Remer of 88 Productions will keep audiences on the edge of their seat with his action-packed footage. And Pro mountain biker Kirt Voreis stars in a Radical Films short clip. The show will be open to those of all ages. "The top half of Tower Theatre will be a no-alcohol zone to encourage youth and families to attend the event," says Lissette. Doors will open at 6pm; the show will start at 7pm. Tickets can be purchased prior to the event for $10 at your local bike shop and online or at the Tower Theatre box office. Bike commuting to the event is encouraged; bicycle parking available outside the Tower Theatre. There will be a raffle of donated prizes by various sponsors at intermission. For more about the Central Oregon Trail Alliance (COTA): www.cotamtb.org. For more about the Bend Cycling Club: www.bendcyclingclub.org. have a killer deal for nonprofits who want to do fundraisers. Fish on! I can make your Memorial Day weekend even better! fish & chips, saute', fettuchine, halibut kebobs, and the list goes on. then I have a scale and baggies to split it up on the spot. is the same as filets. 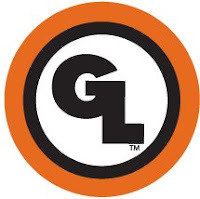 Pleased to report that Giant Loop, the company I started last fall with my friend David Wachs, is really taking off as we enter our first full riding season! It's a bit of a wild ride working three jobs right now (landlord, marketer, startup owner), and I've sort of fallen off with the posts here as a result . . .
COME DIVE WITH CENTRAL OREGON DIVING LLC! LET'S DIVE THE RIVER AND PICKUP TREASURES! It is spring again and time to help out with the Deschutes River Cleanup! Where: We will meet and check in at McKay park at 9:30 for bagels and coffee, sign waivers and registration forms, then we will move to Farewell Bend Park at about 10:00 AM. Why: To pick up trash from the bottom, we will drift from Farewell Bend Park down to the Old Mill Landing where the staff from REI will be waiting to celebrate our discoveries! Who: Any adventurous certified diver wishing to get in some great drift diving in the river. Central Oregon Diving will provide FREE AIR to all certified diver volunteers! SO HOOK UP WITH A BUDDY AND COME ON DOWN. In the past this has been a "hoot" -- we really find some strange things! You will need to sign up and register with Central Oregon Diving LLC. You will need to pick up a waiver to complete before diving. Central Oregon Diving LLC will be open from 8:00 AM to 9:00 AM for people who need to pick up their rental gear. (Please register and get the paperwork done before Saturday morning of the 6th.) Central Oregon Diving will have a dive buddy check in and check out system for all divers in the water. We will need some shuttle drivers and vehicles so solicit volunteers!